It communicates the entire book perfectly. Now hopefully I can finish a story that can do it justice. I have the next ten days free from work (yay vacation!). But now I will be doing another kind of work – working like a madman to finish my book and hopefully go through a round or two of edits before December gets started. 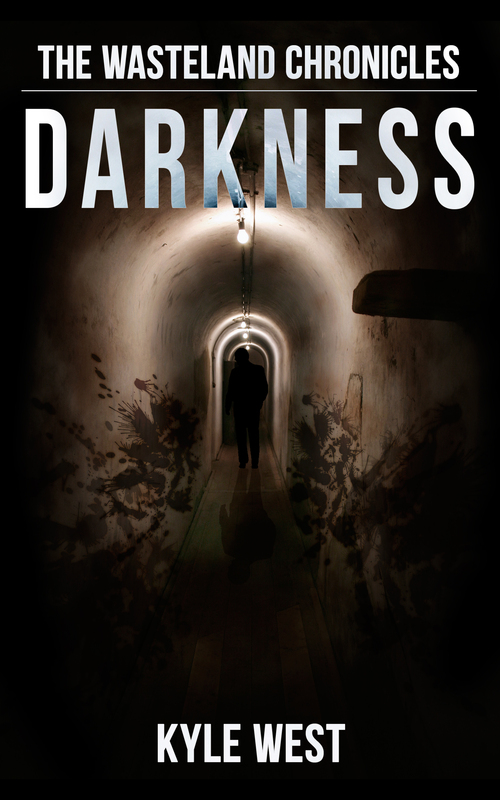 Well made some good progress so far on Darkness (working title of Book 5, subject to change). For reference, 24,000 words is about one-third the length of Revelation. I’ve finally entered the main part of the story, only I have no idea what’s going to happen now! It’s pretty exciting, because really, anything goes. For the next two books, I have a basic gist of what’s going to happen, so it’s weird that I have no idea what this book has in store. I think I’m just going to keep writing to find out! Nothing much more to this post, guys – just wanted throw out there that this book is getting written. My guess is that the first draft will be done in three weeks or so. I’m hoping mid-December will be a reality, but you never know. With a day job, it can be hard to write during the week. I’m hoping for the best as far as releasing it goes. The past few days have just been sort of “meh” for me. It’s really hard to write (or do anything for that matter) when you feel that way. I’m currently at 16,000 words in Book 5. So far I like how it’s going. I can see in my head exactly where it’s going to go. Once I get writing, I have no idea if it will stay that way or not. Well, don’t know what else to write, really…I’m writing on here more to pass the time I guess. At 16,000 words I’m still struggling to find the main narrative of the story, but a new character sort of happened her way onto the stage, quite unexpectedly. It’s getting to the point where it’s more people than I can keep up with. It’s kind of hard to write a lot of different characters when you do first person. Anywho, enough complaining. Gotta see if I can get some more done.